Welcome to the official discussion thread for Fire Emblem: Awakening on the 3DS! To start, please add this game to your log, add it to your collection (if applicable), and (when you are ready) rate it using the link above! Looks like there's a cool preorder bonus for the game. But I was thinking of buying this game digitally. And while art books can be cool, I still think I'd rather have it live on my system. Man. I really don't want to buckle. That DLC though...with that, the game basically becomes "Ike and Friends: Game 3." I love art books, like Fire Emblem, and hate GameStop. Go to GameStop. They love you. And you'd be getting it NEW, its not like they're selling you overpriced used games. And more than likely I'll look at the art book once and never touch it again. 2.) Getting game and art book upon release. 3.) Going to another Gamestop in town and returning the game (while keeping the art book). 4.) Going home and downloading the digital version of the game from the eShop. @Mr_Mustache But new games is where Gamestop is the most overpriced. You can do alright with their used games during their very regular B2G1 free sales. How can it be "overpiced" when they're charging the MSRP. "But cheapassgamer!" Blah. Sometimes they charge extra for games that are new. For instance, most places (Best Buy, Target, Walmart, etc) will charge $29.99 for something like Professor Layton, but GameStop will charge $34.99 instead. They also charged $24.99 for Link's Crossbow Training where literally everyone else charged $19.99 at launch. It happens more often they one would think. Pre-order at Gamestop/EB for a limited edition character art book (US/Canada). This game is on my "Will Buy" list. I plan on downloading it at launch. I was browsing club nintendo and and saw that there's an 'intend to buy' for FE:A. 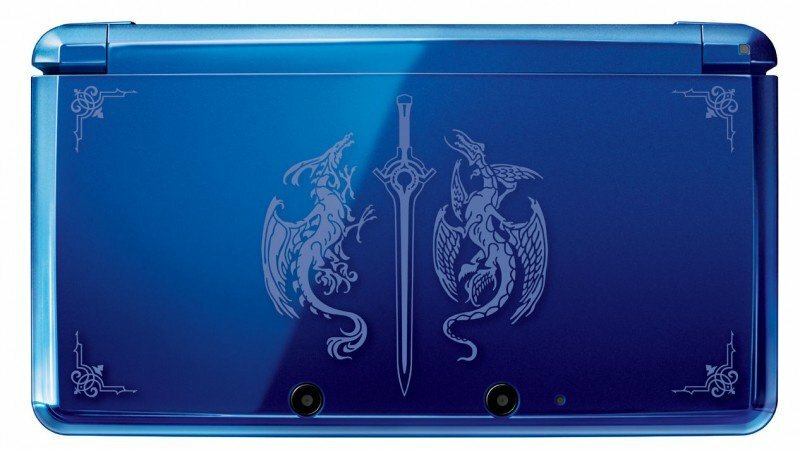 Now there's a rumor that Nintendo is going to release a limited edition 3DS (not XL) for Fire Emblem. I find this hard to believe since Fire Emblem has never really been a great seller in America. I could see it happening in Europe. If it turns out to be true I'll probably buy one. I don't really need or want a new 3DS. But I love the FE series and it does look nice. It would've been nice it if was an XL though. Man, that 3DS sure looks nice, but I'm set on hardware. I'll be downloading this day one. Day. One. Looks like FE: Awakening is going to be a fairly big download. Also noted is that the bundle comes with a 4GB SD card and will cost $199.99. SD cards are super cheap so I don't know if the size is a big deal for anyone considering downloading the game. I'm getting excited about this one. I think I'll pick it up and dive right in. I hear there are three difficults, Normal, Hard, and one that was harder than that that I forgot the name of. You can also play on Casual (units can't die permanently) or Classic (units die permanently) mode. Guess I'll be starting off on Normal/Classic since I'm still a beginner to TBSes, but I want the full FE experience. The demo is available on the eShop right now. I may download it even if I'm going to be getting the game in a couple of weeks. But I kinda want to keep my experience for when I actually have the game. Just download it and delete it, we need to give the message to Nintendo that demos are a good thing.